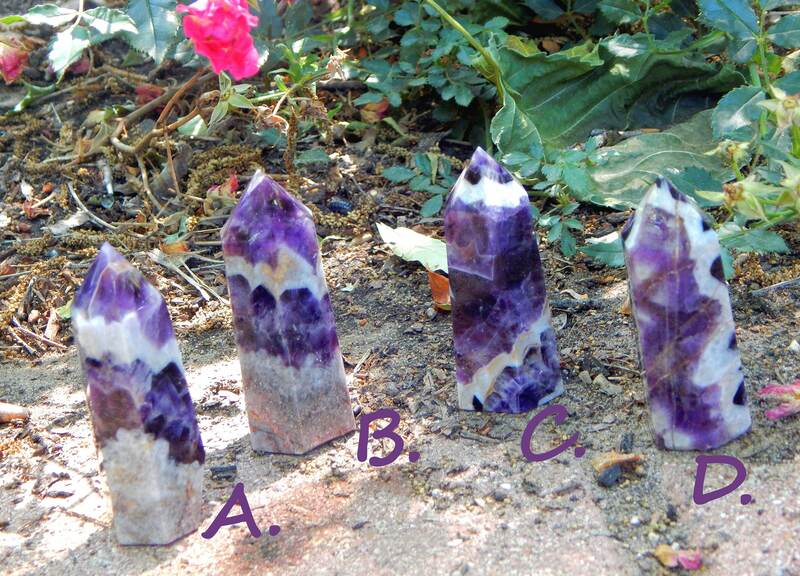 Select your own captivating Dream Amethyst generator point tower. These specimens pictured range from 77.2 grams to 97 grams in weight, and exhibit dark black-purples ranging to lilac pinks with very bold white chevron patterns. 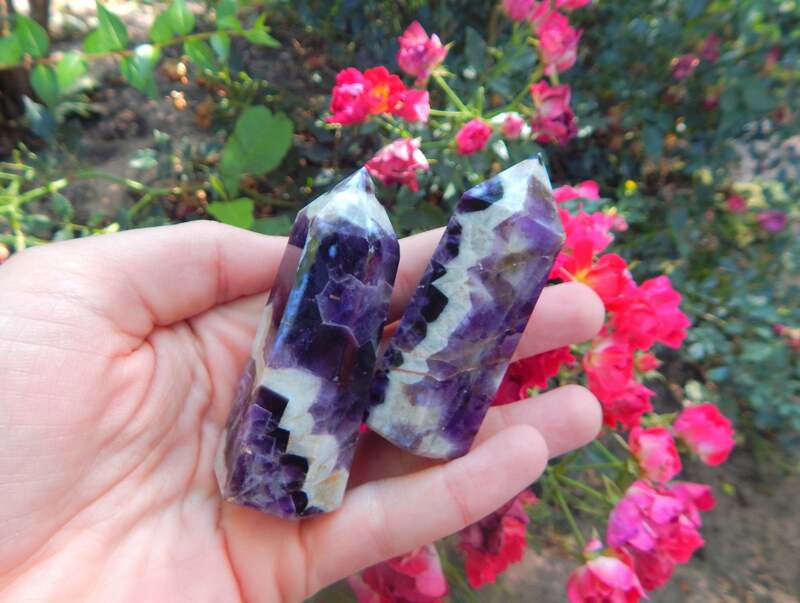 A perfect addition as an Altar decoration or Tool, Dream Amethyst is an ancient stone which has many natural Reiki applications. 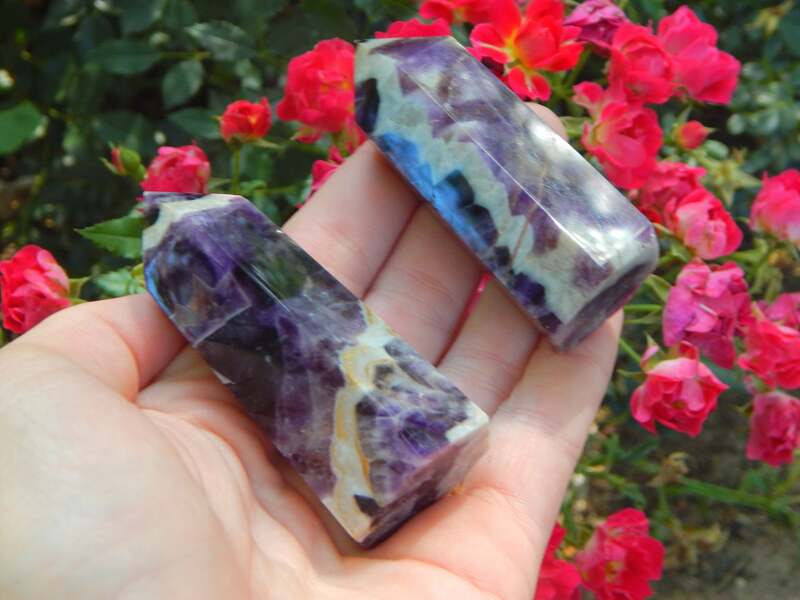 According to the Reiki beliefs, Dream Amethyst, also called banded or chevron amethyst; soothes, heightens cosmic awareness, blocks negativity and dispels nightmares. Very limited supply. Please note your choice of specimen in drop down menu or notes to seller. Chevron Amethyst is sometimes called Banded Amethyst or Dream Amethyst. It has all the healing properties of Amethyst and also a few additional qualities: Banded Amethyst is excellent for working with the third eye and stimulating the third eye chakra. It can enhance intuition and is a powerful stone for dissipating and repelling negativity. It has a cleansing effect on the aura. Amethyst has been known pretty much forever as the master of ceremonies when it comes to spirituality.It is a powerful protection stone creating a bubble around the carrier, warding off psychic attacks and negative energy.It is also seen as the sobering stone, very good for any and all forms of addiction as an addition to treatment plans. It is the perfect stone for meditation. It is also the perfect calming antidote for rage and anger. It creates a protective energy field around its carrier, assisting in transmuting negative energies within the wearer and protecting them from external negative energies. 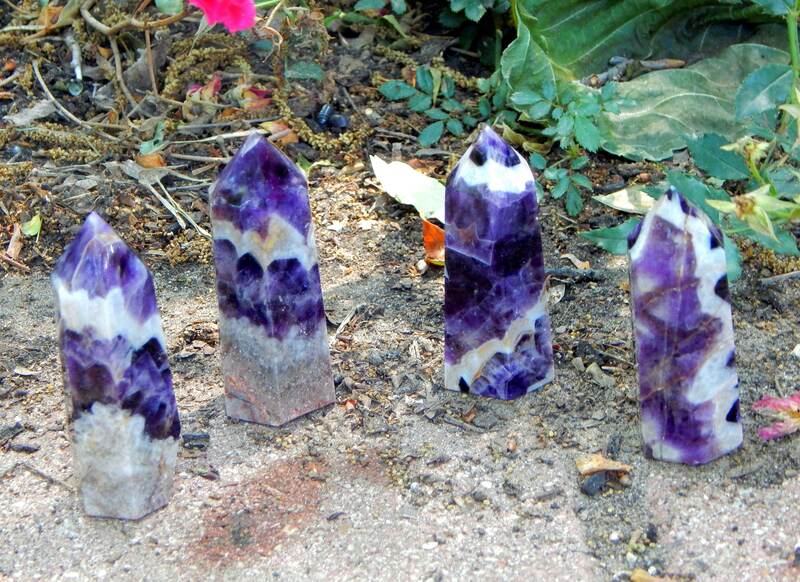 Amethyst assists in encouraging our growth towards our higher potential and spiritual expansion. It also brings peace, insight and calmness, and helps insomnia sufferers sleep more easily.